City statistics show Edmonton as the fastest growing city with a population now sitting at 877,926 with 30,000 new residents calling the City of Festivals home, every year. This massive growth brings complications to how the city governs, and at times, it can be the justification to increase the number of elected officials. While, it is important for elected officials to maintain contact with their constituents, I believe it is also desirable for municipal government to avoid the development of party politics and bloc voting, which all too often forms in larger governments. With examples of Toronto and Montreal, the complications that come with bloc voting can be crippling to the greater goal of serving the city, and its people. This is the trade-off. Studies show the ideal number to most effectively govern is around 12-13 elected officials. As we get larger and larger, typically, the more likely bloc voting becomes, and the less efficient Council is. I am always awed when looking back on a year at the number of projects, initiatives, and work that we have been able to complete; something I believe is the envy of many other big cities. On the other hand, as ward populations increase, it becomes extremely difficult to maintain personal contact with our constituents, get to all the community events, and be able to focus on all individual constituent needs. With some wards pushing 90,000, it is becoming unrealistic to expect to be able to continue to provide the same representation and service to such a large group. What are our options? We can follow suit with other municipalities, most recently Calgary, and increase the number of Councillors. This would come at significant financial costs including a rework of Council Chambers, the Councillor’s Wing, and a large increase in budget to fund the additional offices. Alternatively, we could look at increasing the number of support staff per office and improve the capacity deficit that way. While it would require some financial investment to fund these staff, it would be meagre in comparison to the first option. This would then mean that the public’s interaction with Council will be even more through our staff as we cannot possibly be as involved in each constituent concern as we would like, while effectively govern. I am undecided on the issue and see the benefit for both sides, as well as their limitations. Moving forward, I would like to hear from you as to what you think. Feel free to call me at 780 496 8146, email me at ben.henderson@edmonton.ca, or follow me on Twitter @ben_hen. Crosswalks and pedestrian safety has been a hot issue this season. With the unfortunate accidents of Jasper & 119 St, as well as 95 Ave in Strathearn, it is clear that we must do more to create a conducive environment for both pedestrians and drivers alike. These issues are exceptionally apparent in Ward 8 with the high number of pedestrians, and it is a situation that I intend to improve. The Transportation Association of Canada’s (TAC) Pedestrian Crossing Control Guide acts as a guideline for local governments to uniformly implement marked and signed crosswalks throughout the country. 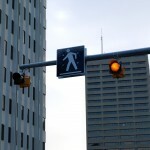 The guide considers the posted speed limit, cross section of the roadway, distance to the nearest alternate crossing, number and types of pedestrians, and vehicular volume, as indicators for the type of crosswalk to be installed. While these measurements are helpful, the trouble is that they do not take into account other things that are not as easy to measure. There have been some problematic intersections that local residents have repeatedly raised concern over. In the past, we haven’t done much as the argument was they fit within the TAC standards. I strongly feel that we need to do better; go beyond the standards when the need calls, and incorporate residents’ knowledge into the mix. Moving forward, Transportation Services will be assessing the major pedestrian corridors of Whyte Ave, 109 St, 104 Ave and Jasper Ave, and will be considering upgrades to older marked and signed crosswalks through these areas. From a community side, we have grassroots work happening in Queen Alexandra through the coordination of QA Crossroads. The community will be undergoing neighbourhood renewal next year and the group is advocating that following rehabilitation, Queen Alexandra should have gone through more than just a facelift. This is an opportunity to make sure that the infrastructure is conducive for all modes of transportation, making it a more walkable, bikable, livable and safe neighbourhood for all. Feel free to contact me at ben.henderson@edmonton.ca, call me at 780 496 8146, or follow me on Twitter, @ben_hen. Exciting New Skatepark Opens! Free Recreation! I want to share my excitement about the opening of the brand-new Fulton Ravine South Skatepark in my ward. There are only a few skate parks in all of Edmonton, and this brand new one is already very popular with active citizens of all ages. The Fulton Ravine South Skatepark can be seen from Terrace Road and 98 avenue; some call it the “Capilano” skatepark, being on the northwest corner of Capilano Mall. This free recreational opportunity is open to all wheeled non-motorized users, notably skateboards, bicycles and in-line skates. The concrete construction of the skatepark makes it very low maintenance; the design includes many unique features that enhance a continuous flow throughout the park. This was made possible by funding from the Province, City, from the South East Community Leagues Association (SECLA) as well as private donors. It only came about due to long term and excellent cooperation from many many community volunteers and city staff. The project has been shepherded through many hurdles by the South East Community Leagues Association (SECLA) over several years. Special mention must go to Bob Hutchinson and Bob Gerlock, as well as SECLA chair Lori Jeffery-Heaney. Without the dedication and sheer determination of these community volunteers, this special project would not have been possible. My hat goes off to all who had a hand in bringing this fun new opportunity to all Edmontonians. I have heard much concern on the issue of speed limits, and photo radar over the past few months. While we all need to get from point A to point B quickly, efficiently and safely, it is important to remember that much of our travelling goes through peoples’ neighbourhoods and communities. From a high level, city transportation is the constant interplay and balancing of efficient and safe travel, while protecting the vibrancy of existing communities. When a main artery travels through a neighbourhood, it has significant effects on the livability, sense of place, walkability, and community orientation of that area. Essentially, the ability of residents to utilize the spaces and opportunities outside of their private property becomes restricted. Examples include, the community’s ability to socially congregate in public spaces, pedestrian accessibility to local conveniences such as stores and parks, safe use of public spaces for children’s play like road hockey or bike riding, and overall perception of safety within the area, among much more. Over time, neighbourhoods that absorb considerable cut through traffic, increased volumes on arteries, and consistent speeding, become less desirable areas to reside, especially for families and seniors. This negative connection between speeding vehicular traffic and community livability is the reason why speed enforcement is so important. Studies have shown that your chance of survival in a collision with a vehicle travelling at 50km/hr is 45%. Drop that speed down to 40km/hr and you are looking at survival rates of about 73%. Furthermore, a 1km/hr increase in travelling speed attributes to a 3% higher risk of a crash involving injury, with a 4-5% increase for crashes that result in fatalities. While I have heard from many residents complaining about overuse of traffic enforcement, I have also heard from many others who are asking for further enforcement within their neighbourhood in an effort to maintain it’s livability. At the end of the day, the role of traffic enforcement is to ensure that those who are driving, are driving safely and are being considerate of others. It is not about a war on the car, and it is not a cash grab; it is about ensuring that all people, no matter what transportation mode, are able to move efficiently and safely through the city. Feel free to reach me at 780 496 8146 or ben.henderson@edmonton.ca. You can also follow me on Twitter @ben_hen. High Level Waterfall: where to go from here? 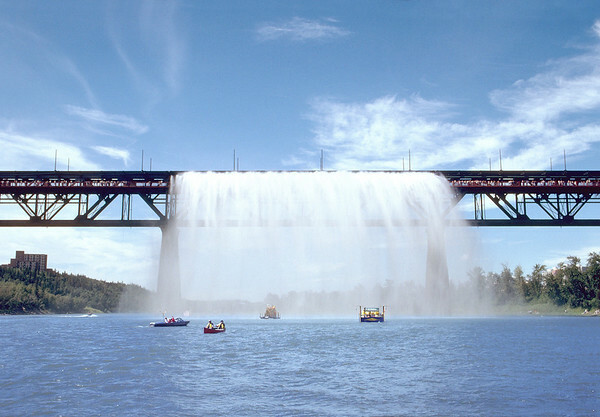 The High Level Bridge Great Divide Waterfall has been an Edmonton icon since the valves were first turned on in 1980, following its private donation by artist Peter Lewis. Even though the waterfall has been out of commission since 2009, many still consider it a marker of the summer festival season. The waterfall was turned off in 2009 due to environmental concerns of pumping large amounts of chlorinated water into the North Saskatchewan River. Over the years, the infrastructure to the project has deteriorated and it now needs to be upgraded if we are to bring it back to life. To get this icon back up and going will take quite an investment, one that the Council has so far said they are not willing to support. There are other options, however; private funding, joint financing with the City, or a grassroots funding structure similar to Light the Bridge are all possibilities. Regardless, I need to know how citizens feel. Is it time to leave the waterfall as a nostalgic memory, or is it worth reinvesting and getting it up and going, again? The cost of the needed upgrades are currently estimated to be between $1.1 and $2.6 million, depending on the chosen option. This is quite a substantial amount of money, yet the Great Divide Waterfall was also a striking icon to our summer skyline. Where’s the balance? It is an asset that many have told me they would be sad to lose. To move forward, I need to know how Edmontonians feel. Is it time to walk away from the project and leave it in the history books, or should we look at creative financing options and get this one-of-a-kind public art piece functioning, once again? For more information, visit http://sirepub.edmonton.ca/sirepub/mtgviewer.aspx?meetid=1202&doctype=MINUTES under item 6.6 to review the reports and find details behind the various options recommended by administration. Three years ago, the winter streets of Edmonton rarely saw a full cycle of neighbourhood blading. At that time, citizens were quite vocal that the general policy of ‘freeze it where it falls until it thaws,’ was not sufficient. In response, Council introduced neighbourhood blading to improve winter driving conditions and overall snow removal. The current blading program has some strong benefits, but also some major downfalls. On-street parking and the inconvenience it causes to both residents and snow removal crews, is one of the most regular complaints that my office receives. I understand that to restrict residential parking to garages, driveways and parking pads is not realistic for some families, especially in dense neighbourhoods. However, I also understand that continuing to allow parking on both sides of narrow residential streets may not be the most practical approach considering our snowy winters. We attempt to minimize windrows but in so doing we still leave 5cm of snow on the roadway that creates havoc in thaw cycles. As we move through February and the snow builds up, many Edmonton streets are beginning to look like shallow trenches, just wide enough to allow for one vehicle to drive by, never mind two lanes of traffic. The current policy attempts to balance everyone’s needs by maintaining on-street parking access for motorists, while providing neighbourhood blading for smoother movement through residential areas. Perhaps by trying to have the best of both worlds, we are actually selling ourselves short on both ends. How should we move forward? I have heard support for a program that would allow residential parking on one side of the street. I have also heard support to go to a rotating short-term neighbourhood ban during scheduled blading. If we could leave a windrow on one side of the street with no parking, and ensure there were openings for sidewalks and driveways, then we could actually plow to the pavement instead of blading to 5cm and hoping it does not melt. This would then leave quality parking space on the other side of the street, while also providing better driving conditions in the driving lane. Is Edmonton ready for this? This winter has not been without its challenges and frustrations. I would like your response on these ideas so City Council can consider these conversations to decide how to make our winter-city safer and more agreeable to all. Around this time of year, we often reflect on how fortunate we are — to maintain our health and to live in a prosperous city with opportunity. However, throughout Edmonton there is a large population of those who are not as fortunate and are struggling to get by. Poverty runs deeper within Edmonton’s identity than most think. 2013 statistics show that 100,810 Edmontonians are living in poverty; 27,970 of which are children. Poverty in our current day has taken on a complex set of characteristics. •	Lone parent’s median income in 2011 was $47,200 less than the median income for two-parent families in 2011; the income gap between lone- and two-parent families increased by $10,500 between 2001 and 2011 (constant 2011$). •	Furthermore, research shows us that a poverty reduction strategy costs approximately 50% of continuing to address the symptoms of poverty. It is for these reasons that in May 2012, City Council chose to proactively address poverty issues through the Edmonton Poverty Elimination Initiative. The initiative’s vision is that poverty ends in Edmonton within a generation, and this is guided by four goals. These goals are that all Edmontonians have the necessary income and resources to meet their needs, every child develops to their full potential, there is equitable access to opportunities, and there is growth of incomes and assets. Through a collaborative approach with partners, those living in poverty, and affected communities, and through investing time, resources, and funds now, the initiatives intends to achieve long-term, progressive change, and reduce the overall cost of poverty to taxpayers. You can also reach me at ben.henderson@edmonton.ca, at 780 496 8146, or @Ben_Hen. There are a number of misconceptions about the city’s budget that I would like to clarify. First, the city is not legally allowed to run a deficit in our operating budget, meaning we cannot take on debt to run the city. In fact, we have built up a substantial reserve (approximately $85 million) to cover against any unforeseen shortfalls. All of this is done according to a strict reserve policy that identifies both a minimum and maximum. The debt taken on over the past few years has been related to our capital budget only. It has allowed for the building or refurbishment of tangible infrastructure. Our previous unwillingness to borrow meant only that we transferred that debt into crumbling infrastructure. Renewed borrowing over the past few years has enabled us to make a serious dent in that infrastructure decline. Even with that borrowing, the city is still well within both the province’s debt limits and the city’s own, much more stringent, limits. Borrowing at a rate that is fixed for the entire term, and at an interest rate that is below the rate of inflation, allows us to use the debt in a smart way to deal with our infrastructure deficit. Construction costs have been very low for the past few years so the time was right to build. Essentially, the debt has been taken on for infrastructure that will be providing value to the city for many years; it has not exposed the city in any way to any structural shortfalls. In other words, the debt is well within limits, and all payments are budgeted and accounted for. Not borrowing for long-term infrastructure is equivalent to buying a house without a mortgage, and therefore, needing to save your entire life to only be able to enjoy it for a few twilight years. Borrowing allows the cost of the infrastructure to be borne by those who will be using the infrastructure, and to pay for it as they use it. What must be ensured is that the payments are paid off long before the infrastructure either needs a major reinvestment, or ceases to exist. The city’s debt policy is very careful not to break that rule. As older debts mature, room will open up for us again to consider new borrowing, but that will be a few years down the road. The amount of debt we have now is at a healthy level that balances fiscal security with the advantage of using what is often referred to as smart debt’ to leverage infrastructure construction. The city has not done anything that is imprudent in the borrowing we have done to date. Doing so has not exposed us to risk and it has allowed us to catch up on many of the infrastructure projects that were seriously neglected over the past years. The City of Edmonton is proud to launch the third season of our bike awareness and education campaign, “Let’s Get There Together.” This campaign encourages cyclists and motorists to watch out for each other and share the road, to ensure that everyone arrives to their destination safely. Edmonton currently offers 86 kilometers of cycling routes, with another 20 kilometers to be installed this summer. These numbers are in line to achieve our goal of 500 kilometers of installed bike lanes within the next 10-20 years. As cyclists become a greater percentage of the commuter demographic, cyclists and motorists, alike, should be fully aware of the safety guidelines surrounding the various types of bicycle routes within our city. Some of these routes are reserved bike lanes, while others are shared-use lanes. A reserved bike lane designates a specific right-of-way for cyclists. It is separated by a solid white line and is marked with an image of a bicycle and a white diamond. Motorists are not supposed to drive, stop, or park inside a bike lane. However, they can cross the bike lane when turning into driveways or access ways. They can also cross a bike lane when parking is permitted between the bike lane and the curb. New to our streets are the buffered bike zones. The buffered zone adds more space between cyclists and motorists, making cycling on busier streets easier. Shared-use lanes are different from bike lanes. They indicate that the roadways are shared between motorists and cyclists. A shared-use lane guides cyclists on the road and reminds drivers to expect cyclists in their travel lane. They are identified by an image of a bicycle capped by a pair of arrows called sharrows. Cyclists have the same rights and responsibilities as motorists and are not obligated to use bike lanes or shared-use lanes. For both motorists and cyclists, knowing how to use these on-street bike routes, or operate around them, is key to keeping everyone safe. Commuters of all modes of transportation should signal, be predictable, and give each other appropriate spacing to operate safely. Throughout the summer, you will see ads on buses, in newspapers and online with bike awareness and education messages. I encourage Edmontonians to visit Edmonton.ca/together for detailed information about new bike routes and how to safely use them. The following article was written by Ben Henderson for Ward 8 community newsletters. I have already written in this space about embracing Edmonton as a winter city, but some of our real challenges come in the spring. Much as we have embraced the winter ice and snow, it also makes it more difficult to get litter off the ground and into garbage bins where it belongs. Rewarding though it is to see the city come out of winter and blossom into spring, the remainders of the dead foliage, winter litter, and sand residue make it harder to embrace the warmer weather until the city has undergone its yearly spring clean up. 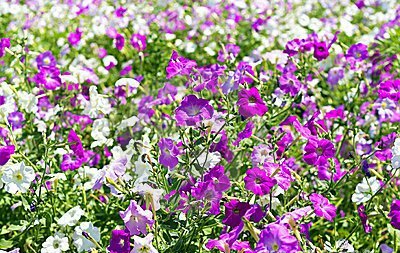 We can help make spring a better transition season by all being a part of this routine. Every year several city departments work together on sweeping the boulevards, streets, and parks throughout Edmonton. You can see when your neighbourhood will be completed by checking edmonton.ca or by calling 311. There are also thousands of city residents who volunteer every spring and summer with Capital City Clean Up, the City of Edmonton’s year-round litter and graffiti management program. Volunteers may adopt a block which they commit to keeping clean throughout the summer, or spend a day helping clean up the river valley and ravine system. The city also needs your continuing vigilance in picking up litter and reminding your neighbours to do the same. I invite you to accept the ‘15 to Clean’ Challenge. All you have to do is spend a quarter hour to pick up litter. Free clean-up kits containing a garbage bag and gloves are available at any Edmonton Public Library starting April 18. Challenge your friends, family, classmates or colleagues. All it takes is 15 minutes!